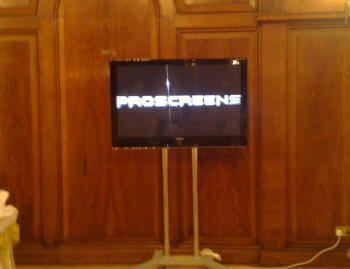 LCD or Plasma Screen TV Hire Plasma Screen and Stands. All Prices for screen hire include Delivery, set up, power cables, connection cables and floor stand with laptop shelf as standard. Longer TV hire terms available on request. We pride ourselves on offering a wide range of TV and LED hire products and services for meetings, conferences and exhibitions. All the screens come with stands HDMI leads or VGA cables, Mac adapters. If you need a DVD Player or Blu-ray player we can supply these at no extra cost. We offer clean Full HD resolution Screen hire as standard and all screens have a 16:9 (widescreen) aspect ratio. 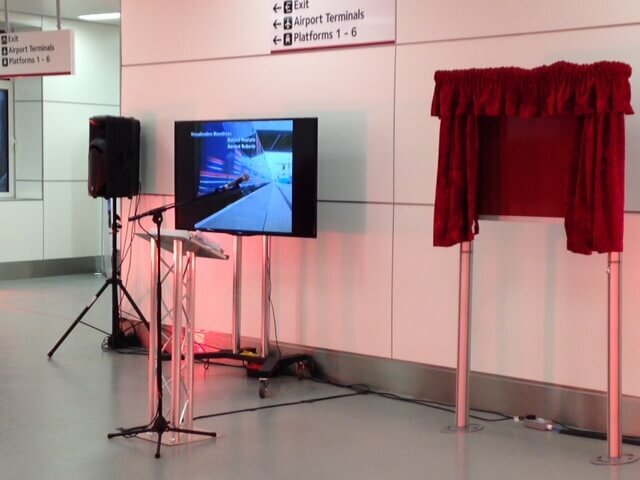 Our plasma screen hire service lets you in on a seamless plasma TV screen experience. Proscreens AV only chooses the best plasma TV screen units available and offers a sharp quality regardless of your viewing distance.